This kind of thinking is why the left never wins because it leaves people unsafe. 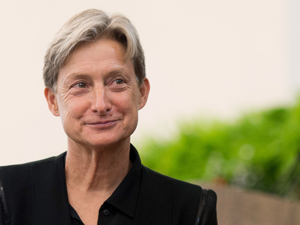 Judith Butler’s quick blog note from Paris, which you can read here, is a snarky and superior critique of sovereign power and state authority, unhelpful because it does not address what she thinks should be the responsibility of a liberal state and its representatives to secure society except to pigeonhole the legitimate exercise of power under Schmittian categories as a form of fascism. 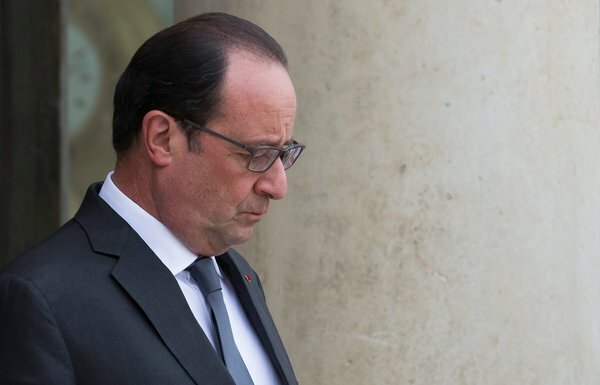 As if looked upon as an inferior intellect, President Hollande she can only call a “buffoon,” which is quite nasty. In the real life against which the life of conceptual thinking stands itself, the death and dead weigh upon the politician, democratically elected, not upon the political philosopher. It’s one thing for a philosopher to take the time to “think.” But that eludes the question of political “action” which works according to a faster clock. At least here she deigned to write in coherent prose – a rarity for her. The requisite use of a term like “buffoon” to ring the correctly leftist bell is indeed annoying. But once I got past the first two paragraphs I thought Butler’s post was a worthwhile reflection. This was the line in Butler that I thought was incisive: “Mourning seems fully restricted within the national frame.” I also saw in the comments below her post that many people think she is very uch misrepresenting the state of affairs in Paris. I don’t have any information to judge by. one doesn’t reason and than mourn, in her more thoughtful moments she has left as an open question what one is to make of the images of suffering strangers beamed into one’s daily surround from afar, here she seems more interested in pontificating.